SO IT COMES TO THIS! 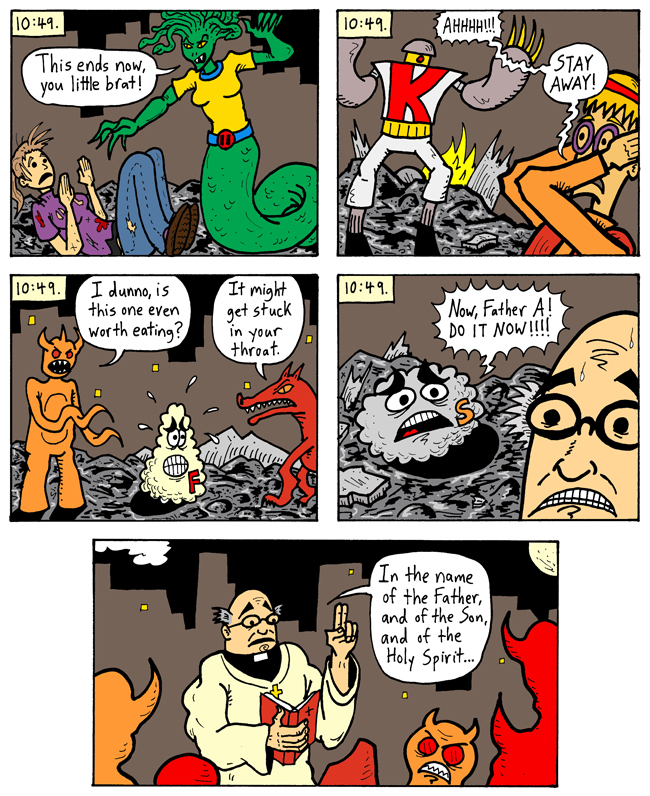 Our heroes are imperiled, with Fuzzball and Scuzzball's plan their last hope . . . but, seriously, what is the plan? They've been talking about it since Episode 276. Enough with the suspense already. NEXT WEEK: All is revealed! The plan takes effect! The end is night! Speaking of endings, the Electric Team just wrapped up their battle with Commander McCarrot and his vegetroids over at the Electric Team comic I write . . . if you haven't checked it out yet, now's a fine time.